Rodents are considered pests for destroying things, spreading a virus, and eating up your supply of food. That’s why you need to get rid of it as soon as you can using the best mouse trap in the market. Mouse traps are designed to capture and get rid of the annoying mice. Aside from that, most models are eco-friendly and can be used again. When choosing mouse traps, make sure that it is easy to set up. To avoid virus infection, it is best to select a mouse trap that is easy to dispose of as well. Allow us to help you choose the best mouse traps for your household with this list. 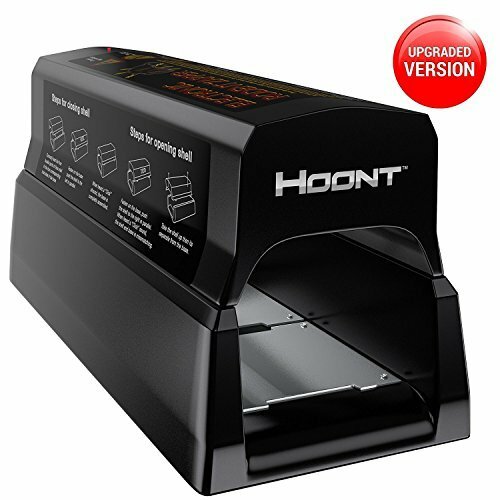 The Hoont powerful electronic rodent trap utilizes an advanced smart detection technology. The rats that fall into this trap cannot escape anymore and will get electrocuted on the spot. This mouse trap can be used for mice, rodents, chipmunks, and even squirrels. Design-wise, this mouse trap is easy to use. All you need to do is plug in the unit using the adapter (already included in the package), insert batteries to run, and place some bait. We recommend peanut butter or cheese as it can attract mice easily. After that, you can place this mouse trap on areas which the rats are most likely to be. Once a rodent enters the trap, the Electronic Rat Trap will automatically send a 7000V shock to kill the pest. Thanks to its revamped and powerful version, there’s no possibility of the rodent to escape or survive from the shock. What’s more is that you can plug in the device or use some batteries to power it on. The cord runs five feet, long enough for you to charge on the nearest outlet. The batteries can kill up to 30 mice before it runs down. This mouse trap can be connected to your mobile phone to receive alerts whenever a rodent enters the trap. In that way, you don’t need to check the trap from time to time if there’s any captured mouse just yet. Thanks to its innovative technology and user-friendly application, you can monitor the mouse trap from anywhere. The electronic rat trap works by sending a high-voltage shock to kill the rodent. It required C batteries to function (sold separately) and recommended for indoor use only. Cleaning the mouse trap is made easy with its detachable lid. You can dispose of the dead rodent without even touching it. And you just need to check it once you receive alerts in your smartphone. 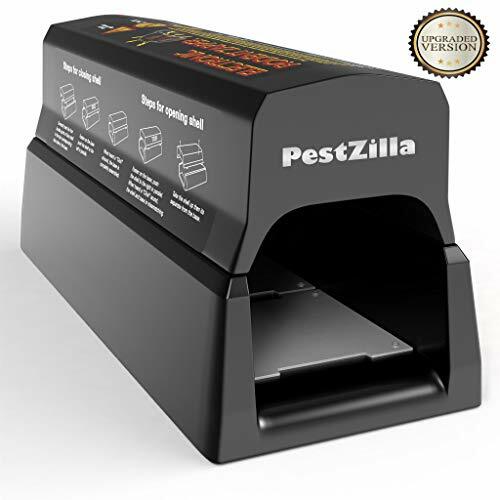 Check out the PestZilla pest control rodent trap. 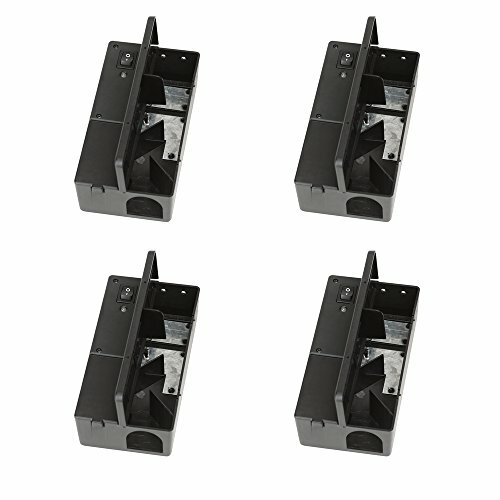 This powerful and innovative electric rodent trap utilizes precision rodent detection technology. Once a mouse enters the trap, it sends up to 7000V electric shock to kill the rat. This bait can kill not just rats but chipmunks and squirrels as well. This rodent trap is easy to set up. Just plug it in, insert some batteries, and make sure to leave some bait to attract the rats. This is the perfect extermination solution of rodents for residential and commercial use. The package includes a five-feet plug-in adapter. Or you can insert four D-batteries to function. Cleaning up after dead rats is easy. There is no direct contact between you and the dead rodent afterward. 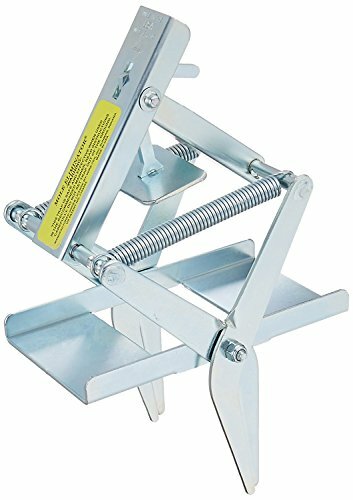 For those who are looking for mouse traps that they can use in the maintenance of organic farming, check out the Wire Trek Mole Terminator Trap. It includes two traps and can be utilized for safe mole control in your residence or farm. This trap has also been approved in nurseries and organic farms. Thanks to its easy foot stepping motion, you can set it up underground with little to no hassle. This is also the mole trapping device that you can set in a tunnel without having to dig. Now you can eliminate the guesswork and plant the trap in your farm to capture rodents and moles that might pester your crops. It is also ideal for people who do not prefer to use chemicals or poison to get rid of moles and rodents in your farm. Aside from moles and rodents, this trap can also kill chipmunks and squirrels. 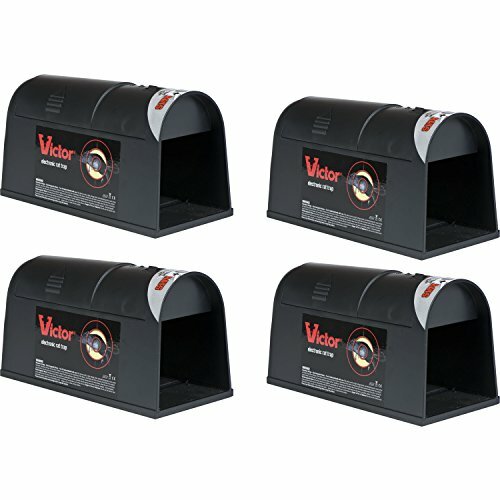 The Victor electric rat trap can kill up to 50 rats in a set of four C-batteries. This rat trap is non-toxic and does not require poison to get rid of the rats. Similar to other rat traps, it will send high voltage to the mouse and kills it on the spot. This rat trap is easy to use. All you need to do is plug it in or insert some batteries to power it on. You can also empty the rat trap without having to touch the dead rats in the process. Thanks to its patented design, there’s no possibility of the rats escaping from the rat traps. Take note that this rat trap is designed for indoor use only. The auto reset allows you to ready the rat trap anytime you wish. If you want the traditional way of catching a mouse, check out the Duke Traps rat cage. This rat cage has steel rod gravity drop doors that will automatically shut when a rat enters the cage. It’s easy to set up. All you need to do is place some bait and wait for rats to enter. You don’t need to use poison, chemical, and it also reduces power consumption. 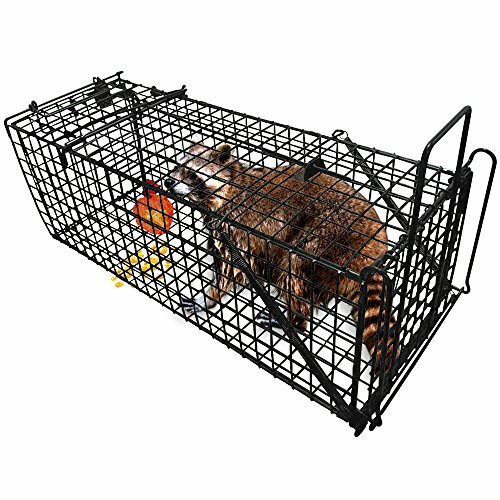 The bait protected cage mesh will make it easy to check if you’ve caught a rodent. Also, its complete internal steel rod frame is durable and built to last. Rest assured that captured rodents can no longer escape once they’re trapped inside. Thanks to its generous size, you can catch not just mice, but also raccoon, fox, and even wild cats. This cage is ideal for people who prefer to throw them away instead of killing the captured animals. We also have the rodent control cage by Amagabeli Garden and Home. This large animal trap is designed for a large rodent, squirrels, and even raccoons. You can use this trap inside your house or outside the porch, especially those who live near the forest for they are prone of wild animals breaking in. 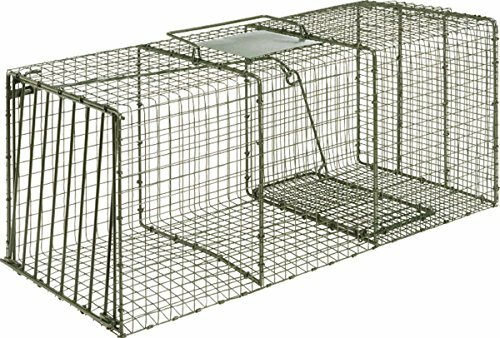 The live trap is made of heavy-duty wire mesh that is resistant to rust and corrosion. Rest assured that this live rodent trap can serve you for many years to come. Aside from that, it also features a handle guard. In that way, you don’t have to touch it when transporting the trap to other places. Setting it up is easy. All you need to do is place some bait inside and wait for rodents to get lured. You can save money from animal removal services, and you don’t need to use any poison or chemicals in the process. The manufacturer offers a three-year warranty upon purchasing the product. 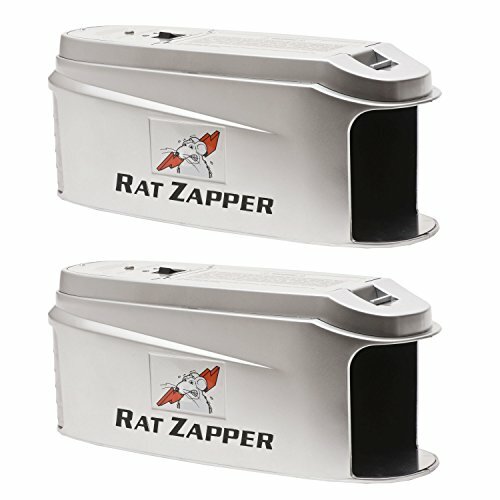 Now you can get rid of large rats in your property with this Rat Zapper ultra-rodent trap. It is designed for catching large rats thanks to its generous size. Also, the device is easy to use. All you need to do is insert the batteries, put the bait in place, and turn it on. Leave it for a night and check for captured rodents afterward. A set of four D-batteries can kill up to 60 rodents before it drains. Disposing of the dead rodents is a breeze. You don’t need to see or touch any of the dead animals to do so. Cleaning the rat trap after the capture is also easy. You only need to disinfect it before it’s ready to use again. Note that this product is recommended for indoor use only. 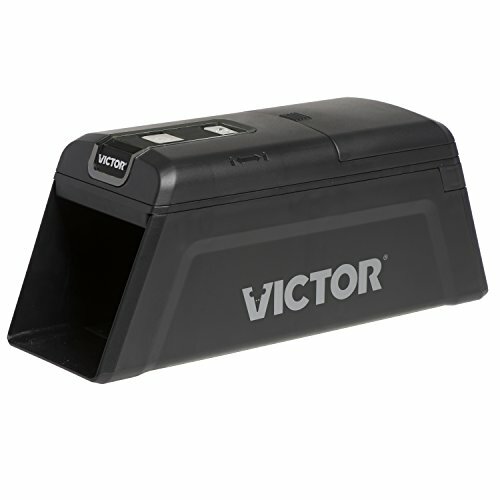 Lastly, we have the Victor electronic mouse trap. This device utilized an innovative smart circuit technology that can detect once a rodent enters the trap. In just five seconds, it will automatically send high voltage shock to the capture mice, killing it on the spot. For added safety, it has an integrated safety switch and tunnel design to protect your kids or pets when the device is unattended. It also has beveled columns that hold the mouse in place and avoid mess inside. Rest assured that there is no possibility of the mice to escape once it enters the trap. The rat trap is easy to use. Once you place the bait, turn it on, and wait for the rodent. Emptying the rat traps doesn’t require direct contact of the skin and the rats as well. It has lid flips that will protect your arms from accidentally touching the dead rodents during disposal.